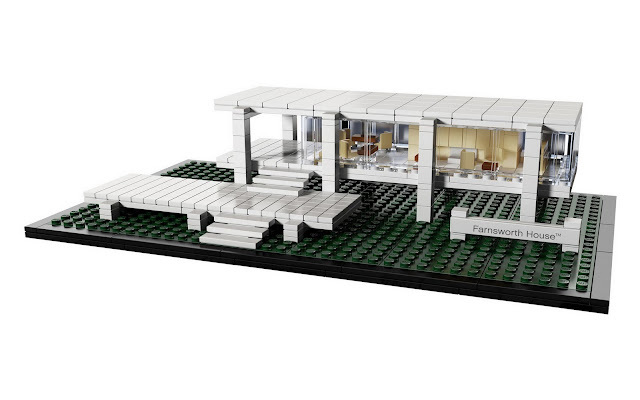 Ludwig Mies van der Rohe Farnsworth House in Lego. 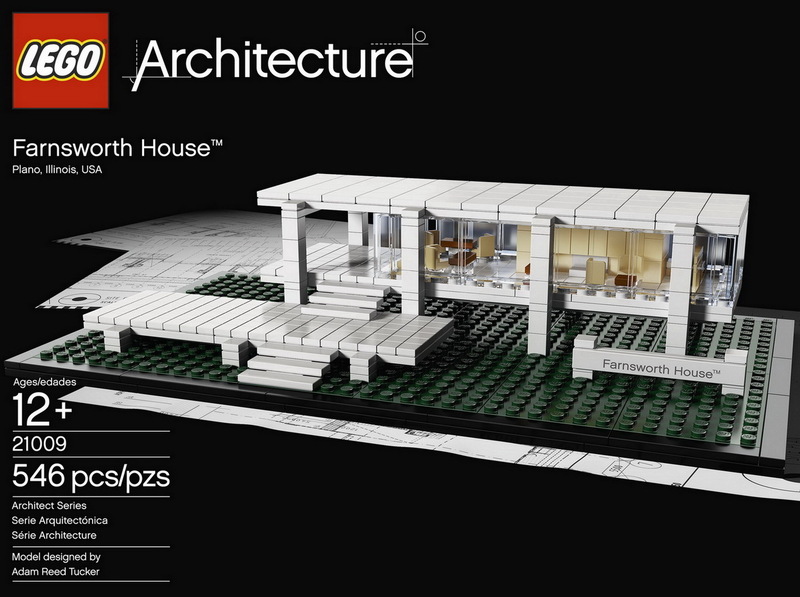 Replicate an icon of mid century modern architecture with the famed Farnsworth House! 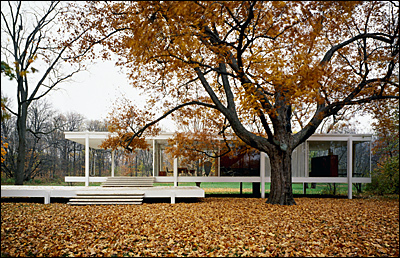 Few one-room homes are as strikingly modern and instantly recognizable as the Farnsworth House, designed by Ludwig Mies van der Rohe. This single-story steel structure with floor-to-ceiling glass walls was meant to open a minimalist interior to nature in an extreme way. Construction took place from 1945–1951 on a 60-acre estate beside the Fox River in Plano, Illinois, where it still stands today. The assembled Farnsworth House model is over 10” (25cm) wide on a base with printed name label and includes a booklet with facts about the building, its construction and history.